Centre DifferentialThe Subaru Centre Differential or Viscous coupling performs the specific task of regulating torque between the front and rear wheels. DIY Rebuild KitsDo it yourself kits are prepared for customers with some mechanical experience able to repair their own Subaru vehicles. Front DifferentialSubaru Front differential types vary depending on model specification. 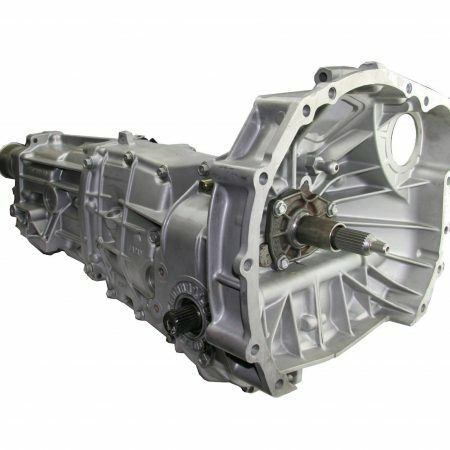 Subaru Gearbox stocks a vast array of Subaru differential replacement parts, new and used. All Drive Subaroo Pty Ltd manual gearbox and automatic transmission complete assembly and new or used parts warranty terms and conditions. Repairs : All repairs made to Subaru gearboxes or transmissions by All Drive Subaroo Pty Ltd (ADS), providing that the parts and labour are both supplied by ADS, are covered by a 6 months or 15,000km (whichever occurs first) parts and labour warranty. Level 1: All Subaru rebuilt gearboxes and automatic transmissions (Level 1) supplied and installed by ADS are covered by a 12 months or 25,000km (whichever occurs first) parts and labour warranty. Level 2: All Subaru reconditioned or remanufactured (level 2) gearboxes and automatic transmissions supplied and installed by ADS are covered by a 18 month or 25,000km (whichever occurs first) parts and labour warranty. Level 3: All Subaru reconditioned or remanufactured (level 3) gearboxes and automatic transmissions supplied and installed by ADS are covered by a 24 month or 50,000km (whichever occurs first) parts and labour warranty. Performance: ADS also builds and installs a range of performance modified gearboxes and transmissions for motorsport applications. See Section 5.0. Broken gears: the warranty does not cover broken gears or differentials under any circumstances, except when due to manufacturing defect, in which case ADS reserves the right to replace or repair the transmission. Driver abuse: Gearbox or automatic transmission failure due to driver abuse is not covered under warranty. Improper maintenance: Warranty is void if the gearbox or automatic transmission is not serviced as specified by All Drive Subaroo in section 7.0 of this document. Intake air pipes, air boxes, relocated air mass meter. Turbo charger modifications including boost control devices. Oil systems that are modified, including oil pans, oil pump, oil filters, or oil coolers that are non-Subaru manufactured. Used: All second-hand parts are covered by a three month replacement parts warranty only. OEM New: All new genuine Subaru parts are covered by a 12 month or 25,000km (whichever occurs first) replacement parts warranty only. All Motorsport gearboxes are supplied with a negotiable parts and labour warranty when installed by ADS. Third party installations and/or repairs, if approved, are covered under the same terms as 6.0 below. Third party installation parts only warranty: All gearboxes or automatic transmissions that are installed by a third party are warranted for parts only. ADS installation, third party repairs: Labour reimbursements for authorised in-vehicle repairs conducted by third party repairers will be determined according to a flat rate manual and only provided if the gearbox, automatic transmission or failed component was installed by All Drive Subaroo Pty Ltd.
Labour rates and freight for third party repairs of ADS installed gearboxes or automatic transmissions: labour rates are based on the automotive industry average for each state, and will be paid only if parts are deemed to be faulty after an inspection is carried out by All Drive Subaroo Pty Ltd. Freight costs in all cases will be borne by the customer, unless the part is found to be defective immediately after installation and is returned within 7 days of purchase. In this case ADS reserves the right to arrange freight through its own provider. All Drive Subaroo Pty Ltd is not responsible for incidental expenses such as travel, hotels, meals, towing, car rental etc. All assemblies are shipped dry. Please refer to the owner_s manual for specifications related to lubrication. Warranty is void if incorrect lubricant is used. 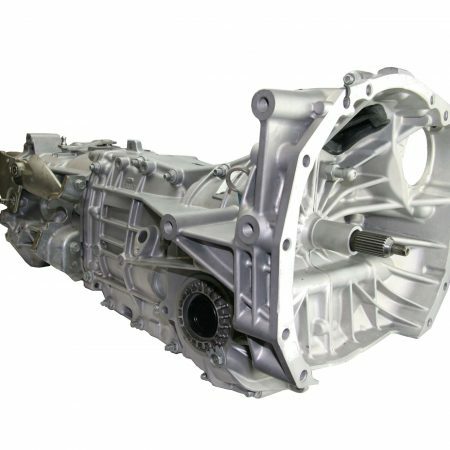 All Drive Subaroo Pty Ltd will send a replacement part, or gearbox or automatic transmission or repair the defective one, at our discretion. Warranty on rebuilt, reconditioned or remanufactured units will be void if the gearbox or automatic transmission has failed due to insufficient lubrication or overheating. It is the customer_s responsibility to maintain oil and coolant levels. Any suspected leaks must be repaired before damage occurs. All re-manufactured gearboxes or automatic transmissions must be serviced in accordance with All Drive Subaroo Pty Ltd terms and Subaru scheduled maintenance. Flush transmission oil lines and piping. Inspect or renew all rubber hosing to ensure serviceability. Perform Automatic transmission data relearn for adaptive control system using specialized Subaru equipment. Some Subaru transmissions require specific transmission fluid, please refer to the manufacturer specifications for the correct oil. If the vehicle is serviced by a provider other than All Drive Subaroo Pty Ltd, documentation supporting vehicle servicing intervals must be provided if a warranty claim is made. Servicing receipts must contain the following information; customer name, registration details, date of service, and odometer reading. Failure to provide the requested documents will void any warranty claim. I had planned a track day with my GC8 WRX STI on Sunday, so took it for a quick drive around the block on Saturday to make sure it was running ok. 5mins into driving it wouldn’t rev cleanly over 3000rpm. I’ve had issues with this before and thought my Sunday Track Day was over unless I could find someone to fix it on a Saturday?? All Drive Subaru was open so limped the car out there where Isaac had a look over it for me. After diagnosing what could be wrong he systematically looked at about 3-4 issues which was causing the car to do this which he explained to me as he went through them. This took 2.5hrs which was 2.5hrs after he was meant to finish his shift and leave but stayed because he wanted to find the solution to get my car running so I could get to the Track Day on Sunday. Needless to say after 2.5hrs of not rushing but fixing the problem and any associated problems which could have arisen on my Trackday the car ran perfectly. I went to leave & fix them up for the 2.5hrs Isaac had spent on my car and Niazi and Isaac said “Don’t worry it’s on us”!!! I would have been ready to pay anything for their effort and getting me to my Trackday the next day where apart from being disappointed I would have lost $300 not being there. I didn’t want to leave without paying for there service but they insisted. (I had never been there before). I’m actually blown away by a business that provides this type of customer service that is so genuine, honest and passionate. These guys are next level in knowledge, quality and honesty as a business and Subaru’s. I’m definitely a convert and will be using these guys for all my existing and future needs as I develop my STI. awesome service, accurate and helpful advice. Pricing was very competitive too. Thanks so much for all your help with my gearbox and clutch over the phone from all the way up here in Far North Queensland. My gearbox arrived so fast! And the advice with my clutch from Naizi helped heaps. Proud to get your name out up here! Cheers Guys! Just want to thank Niazi, Issac, Gab and the team at ADS for the work carried out on the STI. Exceptional worksmanship and communication during the process. Looking forward to future endeavours together. My experience with All Drive Subaroo was excellent. 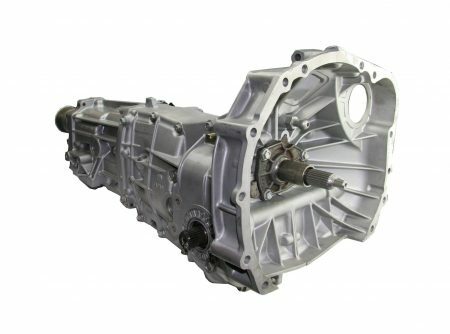 I ordered a reconditioned gearbox for my daughter's 2008 Forester and collected it last Friday. From Niazi (the owner) to Rob, Chris, Adam, Ruben and the young guy in the workshop who cleaned up the parts that I needed to keep (who's name I didn't get), there was their obvious experience and knowledge of all things Subaru, plus their professionalism, helpfulness and, importantly, respect for this old guy trying to get my daughter's car back on the road. I'll be recommending them to anyone I can. Just bought my first Subaru late last year and absolutely stoked I decided to visit ADS. If you want something done right on your Subaru, this is the place you want to take it! Such a great team there who really love their Subarus and show that same love to their customers cars. They always spare the time to ensure you get exactly what you want....or better than you thought possible! Great service! I ordered a part and it arrived the next day. Staff were very polite and friendly. Thanks guys. Congrats to Isaac, Gab and the team and all drive. Your boys done well today and Wakefield. Amazing knowledge when it comes to Subarus and Mark has helped me with all my issues! Great communication, very honest and willing to help. Will be back soon to get more upgrades and do my services. A team of consummate professionals and problem solvers!! Isaac, Niazi and the team solved issues I was told by a Subaru dealer didn't exist. Would go back again in a heartbeat! Cheers Guys!! Best workshop I have visited so far Customer service is outstanding, the boys did an amazing job with the installation of my gearbox and everything is done properly no corners cut. All Drive Subaroo over MRT ANYDAY!!! All Drive Subaroo recently completed a massive job on my '98 GC8 WRX. I was comtemplating doing this work on my car for a very long time and did countless hours of research into what was involved and how much it would cost. All Drive Subaroo's ad popped up in my facebook & as it was a workshop I hadn't heard about before, I sent off a quote request explaining what specific power I was after and the crazy type of response & reliability I wanted. I received a call from Isaac from ADS & he spent a good hour on the phone to me going over everything and giving me prices off the top of his head. I was very impressed with the amout of knowledge he had and realised how much more affordable the build would be with them. After that call I was 100% confident in them doing the build. It included a fully built closed deck block with reconditioned heads, full 6 speed conversion including diffs and modified tailshaft, all supporting mods including top feed fuel conversion, surge tank set up and just way too much to list. The car has come back absolutely fantastic - everything was installed properly and neatly & they even went to the effort of cleaning up and painting just about every little thing that was original on the car. They kept me updated throughout the entire process and always rang me first if there was anything they needed to change or add to the build with detailed reasons why. Long story short, the customer service from the entire team was fantastic, the pricing was awesome, the quality of the work was excellent and the turn around time was unbelievably fast for the amount of work done, making the whole experience truly enjoyable. The car is an absolute response monster with 340kw atw and 1293nm of torque. Overall so happy and would not hesitate to recommend All Drive Subaroo to everyone who wants work done on their Subaru from basic to massive hp builds. All Drive Subaroo recently replaced the motor in my '09 XT Forester with some additional mods. Niazi did the initial quotation and Isaac took it from there. Service was amazing and I was always kept well informed. They did a great job with a quick turnaround and it was all hassle free. I did my back the day I was to pick up the car and they even helped with a heat pack for that! It's been a few months now and the Forester is running better than ever. I've had a few questions here and there in the past few months and Isaac has always been more than willing to assist, even gave up some of his time in Melbourne to meet up and run through a few queries. I highly recommend All Drive Subaroo! I rang these guys to talk about a problem im having with my '04 Forester pinging and was told to bring it out and well take a look . Isaac couldnt have been more helpfull and honest and upfront with his diagnosis and gave me a few options to try with the fuel system prior to me bringing it back for further analysis . Their knowledge of Subaru's is excellent and you can tell the staff are all into their Subys and passionate about them. Totally 5 star service and 100% Trustworthy !! After blowing the engine on our Outback a short phone call with Isaac and Adam and I was booked in for a new long block. Picked it up today to it being freshly detailed and running like a dream. Awesome work with awesome customer service with realistic prices! Ive dealt with Mark, Nazai and Isaac and no ones made me feel stupid for asking questions. They're genuine and so quick to help. Top blokes. Plus the quality of the work on the back of that is absolute tops. Definitely would recommend. If you want quality service this is the place to go !!! Extremely happy with there work !! !the boys went above and beyond!! I was informed about everything and kept in the loop. This is now the only workshop that will touch my car Thanks again Chris Very happy customer Great price Great quality Great knowledge WELL DONE ! 'All Drive Subaroo' is a company of very professional people with a second to none product. I had a need to replace the engine in my 2009 Subaru Forester XT after it was destroyed in a freak accident. The replacement engine performs perfectly and I'm very, very satisfied with the engine that was supplied as the replacement. Quality and workmanship is a key to any successful business and in the case of 'All Drive Subaroo' there is no question of this being the case. As a retired Qantas Engineer with 42 years of service I have got to know what is good and bad with a company and believe me your company is ten out of ten. Well done. Cheers too the boys at Alldrive effortless to deal with and very knowledgeable. Pleasure to do business with and will continue to in the future. This place and people are amazing ! The hard work they've done is indescribable, there's no words to describe how I feel or to describe the out of this world job they have done on my 2002 bug eye wrx, they have spent about 2 months and a half in restoring it back to life. It is now pretty much as close to an undercover STi hitting about 217kws, it is unbelievable. The work, time and effort they have put in is immaculate and pure perfection, it is running smoothly and beastly, it sounds and drives like a dream. I recommend these guys to absolutely anyone and everyone ! Their work is 5 star and their products are also 5 star, the nicest and helpful bunch of people you can ever find and they also share the same passion you do for your car. I'll definitely be going back there from now on !!! Ps. Special thanks to Niazi and Isaac !! I appreciate all your help !! Just had my gc8 in for a box and clutch replacement. Very happy with the service I received. Was kept up to date every step of the way, big thank you to everyone you guys are awesome! Very smart and experienced crew, highly recommend. Clear communication and friendly staff. Highly recommend, for business and quality work. One stop shop. Very Happy with their high quality work. Some may think I'm biased, but i cant think of a better shop in the whole world. Just saying. Always good service from the guys and would highly recommend them to anyone. All drive Subaroo has always been up front and honest, and from the first time I went there, they made a point about being sincere about what they could do and what it would cost. Gabriele has always taken the time to hear out minor issues and problems, quote realistic prices and knows these machines like the back of his hand. The expertise and knowledge base makes them a better source of information than internet websites, and seeing they manufacture gearboxes and engines, you know they can deliver the complete package for your needs. Keep up the good work guys! Great service! Knowledgeable team! Quality work! Big shout out to all the guys from ADS...today my 2015 WRX went under the knife for a clutch/flywheel replacement, trans mount & Gearbox/Diff oil change!! I want to specifically extend my thanks to Isaac & Reuben for all their hard work and putting up with my annoyance & constantly breathing down their necks during the whole proces!! All I could say is wow it feels like day & night after putting the new ACT gear in...clean workshop, friendly & caring staff & above all experienced!! Niazi is a great boss who coordinated the whole process to make it as seamless as possible, I would defenitly rate/recommend them for anyone looking at getting work done!! Niaza and the boys gave such a good service, always letting me know what was going, my 6 speed was stripped at another shop that over quoted me and didn't have much experience, Niaza took the job on, had to reassemble a gearbox that was in pieces, did fabulous job and the car drives unreal, top job, highly recommend, thanks so much !!!!!!! Thanks to all the team @ ADS for your patience and dealings with me and my gf8 WRX. The new box runs perfect.Nice and smooth shifts again.Happy days. I recently took my wife's car to Alldrive Subaru for servicing as it had been giving us problems. Rubén was really polite, helpful and knowledgeable. He identified and showed me some potential problems which he explained in a none technical language. It's been 3 months since our car has been serviced and it has not given us any problems. Thank you Rubén and Alldrive Subaru. A big shout out to all the boys here. Service is next to none, quick and efficent. These guys know there stuff in and out. A special thanks to Mark who goes above and beyond wouldnt take my car anywhere else! I get all 3 of my cars service here, wouldn't take it anywhere else. These guys know what their doing unlike the CRAPO dealer that's charge for anything and everything. Keep up the good work guys. The best customer service I've ever received. Since I'm a chick I have been tricked into paying for stuff that I didn't need at other garages. The mechanics here are ALL very honest and I definitely go out of my way to get my car looked after by these guys. I 100% recommend these guys to everyone and anyone. After blowing my gearbox i contacted all drive subaroo in regards to doing a 6 speed swap in my forester. The car was picked up the next morning by a tow truck niazi organised and the work was completed fast and professional they also completed a full service of the car including 100 point check. I have not had service like this anywhere else and am glad i chose all drive subaroo if you have any work to be done dont look past Ads. Big thanks to the Guys at All Drive, sorting out my STi's DCCD issues. Big relief to have it back and running perfectly with a simple oil change. For all your Subaru needs highly recommend these guys. If you own a Subaru these are the guys. One stop shop for all Subaru needs. I've been involved with the company for 15 years and never met a more dedicated, knowledgeable group of auto techs. Just wish they'd work on SAABs. Really impressed with their excellent service and professionalism. I had a turbo replacement and major service on my 2010 Forester and very happy with the result. So far so good. Nazi organised a tow truck to pick up my car and were very helpful on the phone. Know their stuff very well and will hopefully have my car back late this week. Best service so far, can only get better from here. Cant wait to get my car back. Thanks guys! Fast and reliable, premium service and best quality work. Satisfied. THIS PLACE IS MY NEW SUBIE DOCTOR :) GUYS DID AN AMAZING JOB ON MY 96 SUBARU OUTBACK 2.5 TIMING BELT WAS OFF BY A FEW TEETH. 02 SENSOR WAS GONE INJECTORS WERE CLOGGED ON CYL 3 THROTTLE NEEDED ADJUSTING IACV NEEDED ADJUSTING ALL WAS DONE AND DIAGNOSED IN A DAY AS QUICK AS THEY COULD . DRIVE IT BACK TO CAMDEN AND ITS IDLING SOO SMOOTH I THOUGHT IT WASNT RUNNING AT ALL CANT WAIT TO GO BACK SPECIAL THANKS TO MARK AND NAZI !! I had my forester serviced by the All Drive Subaroo team, I was extremely impressed by their professionalism, customer service, attention to detail and housekeeping of their workshop. Their communication throughout the process was fantastic, with multiple phone conversations about works to be done, written itemized quotes and photos of parts to be replaced. I had to visit them again today (a few months after the service) for what I thought was a follow up issue, turns out it was an easy fix and the guys were more than happy to spend part of their Saturday morning helping me out, assuaging my concerns over my pride and joy. Would 100% recommend them and will definitely be visiting them again. From the get go when making my booking the staff were highly professional and helpful. They were willing to spend time discussing the issue with my car over the phone, as well as talking me through the service process. I did not feel pressured into making a booking and the call wasn’t rushed as they are typically. After arriving at ADS, I didn’t have to wait long before I was in the car diagnosing the issue with the Director, who was friendly, completely down to earth and had a genuine interest in my car. I was highly impressed with how quickly and accurately the issue was identified (almost immediately upon demonstration). The car had been taken to a Subaru dealer who wasn’t able to resolve this very same issue. Although I didn’t see the director when picking up my car, I was told by the ADS team, that the director was ‘really happy with the way the car drove and it felt like a completely different car’. From that statement I knew that the director takes pride in his work and that my car had been in good hands. It was a pleasure meeting the Staff and I have no hesitation in highly recommending this business to my family, friends and the broader Subaru community. I have no affiliation with All Drive Subaroo, I made a booking based on Google reviews and wanted to share my experience. Great experience from start to finish dealing with these guys, everything was done quickly and they were always helpful over the phone for any inquires. Highly recommended! These guys are easily the best Subaru specialists I've ever had the pleasure of dealing with. Their level of customer service and knowledge is unmatched by any other specialist I've previously used and they charge exactly what they're worth. Keep up the excellent work guys! The most honest and reliable workshop I have ever dealt with. Always willing to take the time to ensure you get what you need. If you're onto a good thing you stick with it and ADS is in my opinion the best so my Subaru will never be taken anywhere else. Best customer service! Great people to deal with. Engine issues were resolved in short amount of time. I won’t let anyone else take care of my car. Highly recommended. The team from ads are nothing but the most professional workshop I’ve dealt with to date . Finally mechanics that care about your motor vehicles . Can’t recommend them enough . It makes me want to service my car on a more regular basis. No headaches with them !!! Keep up the great work team . Looking forward to my next service. Great service, Rob went above and beyond giving accurate honest advice on the issue with my Forrester. Great pricing on their spare parts also. They even repaired my sister in laws car tyre for free on the spot after I got a puncture borrowing it to come pickup the parts from them. I will defiantly be using All Drive Subaroo for all future services and NOT my local Subaru dealer.